Which Flavor is Your Favorite: Slutty Smileys or Preggo Primers? 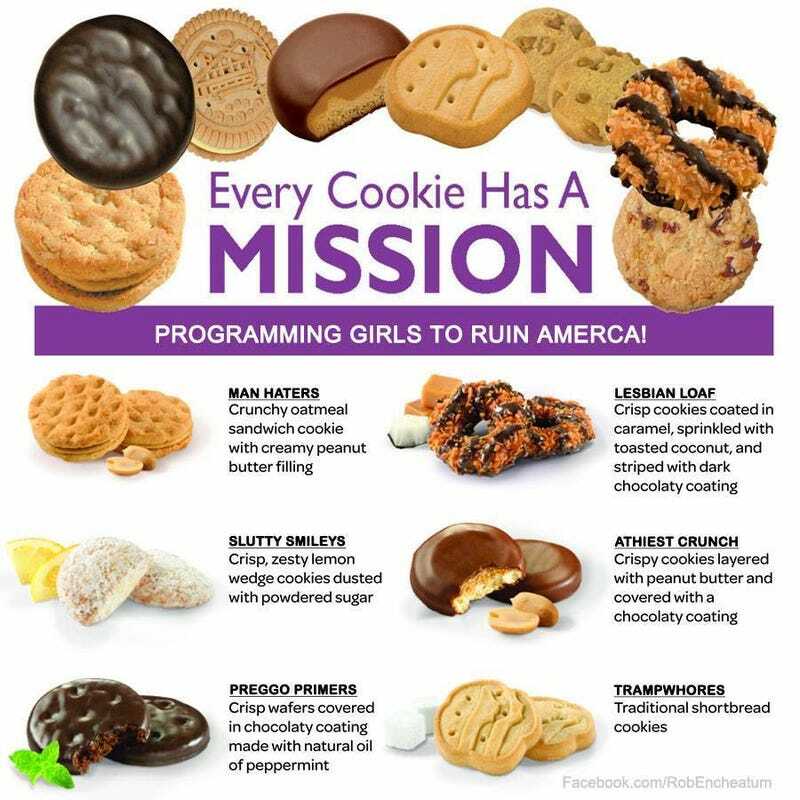 Far-right-wing Pastor Kevin Swanson gurgled on his radio show that we should stop purchasing Girl Scout cookies because the organization promotes “lesbianism,” "abortion," and "independence in women." All the more trampwhores for me. Also, moar lesbian abortions! Personally, I think that shortbread should be "Lesbian loaf" because 1) it has two ladies on it and 2) bread, loaf... get it?